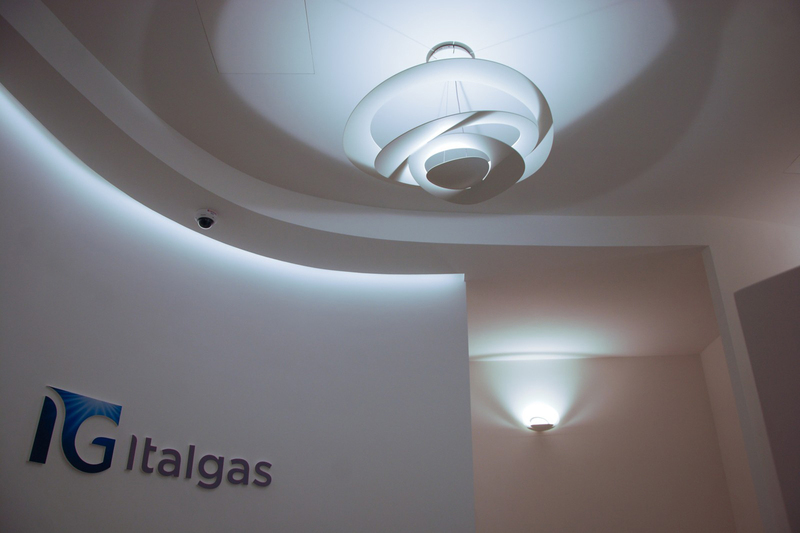 Giugiaro Architettura developed the new representative offices for Italgas in Rome, in Via Barberini, one of downtown's most prestigious areas. The refurbishment project modified the existing layouts, giving the spaces a more fluid distribution, underlined by sinuous walls in the atrium and main corridor. The project touched the management offices, including meeting rooms with the most advanced videoconferencing systems, and spreading to the operative offices and multifunctional areas.